I am asked all the time how to start shopping for healthier groceries. This is the time of year where everyone seems to be thinking about eating better, but truthfully, we can make the switch at any time. Making the transition from processed to real, whole foods can definitely be a challenge, and undoubtedly overwhelming. I think any new experience in life can be that way. If we are introducing a new routine into our life, it takes some planning and practice to really get the hang of it, but once we do it's totally worth it! The investment in real food is so worth the effort. My husband and I believe in balance, so a treat every now and then is not a big deal! And of course when you're traveling, eating out, or visiting friends and family, food becomes harder to control. The point isn't perfection, but sustainability and developing good habits regarding food that can last a lifetime. So, to make it easier on you, I've listed out what I would consider the most basic food "switches" you can make in your kitchen starting right away! 1. Butter - Skip the cheap butter and the margarine. It's full of all kinds of other oils that are terrible for our bodies. A great switch would be to start buying Kerrygold butter. It's made from grass-fed cows and is SO delicious. Trust me, once you taste this butter you wont be able to eat the old stuff again. It's so rich, creamy, golden in color and did I already say it's delicious? Where to purchase: We stock up at Costco or Target sells it as well! Also Whole Foods and natural grocery stores. 2. Milk - I have a hard time trusting milk at the grocery store. Call me crazy but I just don't love that pasteurization kills off all the beneficial nutrients and bacteria in the milk. A lot of conventional milk is also packed with sugar, which we definitely don't need any more of! I prefer to get raw milk from a dairy, because I know it's fresh and full of all the beneficial bacteria that our guts need to be healthy. I also love that raw dairy is full-fat (contrary to popular belief - healthy fats are good for you! ), and that it supports local farmers and communities. Many people worry if drinking raw milk is safe. I feel comfortable with it because I trust the farmers to handle their milk carefully, but of course, do your own research on this. In a pinch, this brand seems to be a good option, and it's sold at health food stores. Another great option would be nut milk, which you can easily make at home in about 5 minutes OR buy a version from any grocery store that has the least amount of preservatives in it. 3. Bread - Switch out white and conventional bread from the store with either a sprouted or gluten free version. You can find gluten free bread at any grocery store, and I've seen sprouted bread at Costco and Target. If you are feeling more adventurous and want to really transition your bread to something a lot more nutritious, you can make your own! This is a great recipe that is simple for beginners, or you could try your hand at making traditional sourdough bread. We love having our sourdough starter and use it to make bread, pancakes, waffles, crepes, biscuits, etc! 4. Meat - Mystery meat -- like, what exactly do they put in those hot dogs and how do they preserve cold cut meat for weeks upon weeks? Sadly the answer is preservatives, nitrates, and hormones that show up from the feed of the animals who eat them. Though we try to buy great quality meat from farms most of the time, admittedly, it doesn't always happen. The main reason is not planning ahead or ordering enough ahead of time (since farms usually schedule bi-weekly pick ups), and the second reason is our tiny freezer space! However, I can always always tell a difference between our meat from the farm versus what we find at the grocery store. Where to purchase: Applegate is a great brand for hot dogs, sausages and cold cuts! It's sold at Target, health food stores and I've seen it pop up in Kroger recently! Olive oil: Use for salad dressings, homemade mayo, etc. but not ideal for high heat cooking if you want to keep all of it's nutrition in tact. Butter: Not great for high heat cooking as the proteins and sugars cause it to easily burn, but perfect for adding to dishes for flavor. For a version that wont burn, try Ghee. Coconut oil: Great for high heat cooking and has great health benefits. Refined will not taste like coconut, and unrefined will have a subtle coconut flavor. Where to purchase: We get our olive oil in big jugs from Costco, or Thrive Market. We get a 54 ounce jug of coconut oil from Thrive Market (largest quantity and cheapest price I've seen anywhere). Ghee can be found at health food stores or Thrive Market. 6. Produce - Though we don't follow this rule all the time, your best bet with produce is to stick to the "clean 15" and "dirty dozen." These lists will tell you which produce is best bought organic and which you can skimp on to stay within budget. Another suggestion would be to eat seasonally as much as possible. If you aren't sure about what produce is in season, I have a list in my Seasonal Meal Planning Journal for each season, and you can also check out this post and this post. Where to purchase: Any grocery store or your local co-op/farm. 7. Sweeteners - Throw out all your white sugar now! Research shows that sugar is on par with cocaine in terms of it's addictive nature, and can have hugely negative impacts on our health. 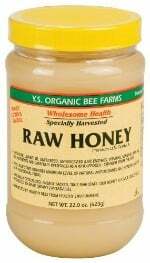 Better options would be to switch your sweetener of choice to raw honey (which is great for allergies if it's local!) and pure maple syrup. Check your labels and make sure there isn't anything else added to your sweetener before you buy. Where to purchase: Thrive Market, most grocery stores carry pure maple syrup or raw honey as well. Local farmers markets are great for finding local honey as well! 8. Flour - Throw out all your white flour too! With the exception of some organic, non-bleached flour for making sourdough. White flour has no nutritional value on it's own, since it has been stripped. Better options would be buckwheat flour (slightly nutty flavor), oat flour, almond flour, and brown rice flour. These flours are high in fiber and protein! Make sure you look up recipes that call for these flours though, since they are gluten free and have a different chemical reaction in baked goods, and can't be a 1:1 white flour substitute. Where to purchase: Any grocery store, Thrive Market. 9. Breakfast: I love cereal. With so much love. But it's just completely void of nutrition. I remember learning this during my pregnancy with Reaghan, when my midwife asked me to chart what I was eating for a week to see if I was getting good nutrients for my growing baby. I had cereal for breakfast every morning. She pointed out that any time a grain is processed and shaped into a flake, an "o", or any other kind of shape - it is stripped of all of it's nutrients. This is why you will see "fortified with vitamins" on cereal boxes - because they had to add back in synthetic versions of those nutrients that are no longer present. Not only this, but most cereals are loaded with sugar. I recently discovered that a "healthy" organic and non-GMO brand of granola I was regularly buying contained more than the daily recommendation for sugar in each serving. I was so bummed! If we are thinking of food as a way to fuel our body, eating cereal on a regular basis just doesn't make sense. A better option for breakfast would be eggs, sauteed vegetables like spinach, sweet potatoes, and squash + eggs to make a hash, waffles or muffins made with the flours listed above, smoothies, or oatmeal (preferably soaked in water, 1 tablespoon of buckwheat flour and 1 teaspoon of apple cider vinegar overnight for better digestion). 10. Juice, Soda, etc: I honestly can't remember the last time I drank a soda. Switching drinks like soda and juice can not only cut down on the amount of sugar and needless calories your family is taking in, but also will save you a ton in your grocery budget. Some healthier switches would be unsweetened flavored seltzer water (such as La Croix) if you still crave that fiz, water (add some lemon for flavor! ), or herbal teas made hot or over ice with a little raw honey in it. I never used to be a huge water drinker, but now that I've made drinking water a habit, I find that my body craves it more and more. This is just a starting place, but I hope it is helpful! With a little planning I know you can make the switch from processed to real food in no time. Don't overwhelm yourself with feeling like you need to overhaul your entire kitchen and pantry over night. My suggestion would be to take one or two of the items on this list and implement them each week, until your kitchen is full of fresh, real food! It may take you some time to research the best prices for your family budget, and where to find a good farm new you for some of the items, so don't stress - just enjoy the process! If you need more help, just let me know your questions! I'd love to talk more about this here on the blog, over on Instagram or even Periscope! There's also a great resource for you over on the "My Pantry" portion of my site. I share a little more about what you might find in my pantry + a discount to try Thrive Market, an online store with majorly discounted prices on healthy non-perishable food, body and household items.